I am excited to be off to Rio again, this time as a speaker at the International Society of Aesthetic Plastic Surgery (ISAPS) 22nd Congress. ISAPS is the world’s leading international body of board certified aesthetic plastic surgeons. The society provides a global interchange of ideas and knowledge for the advancement of aesthetic plastic surgery by providing ongoing continuing education in new procedures and techniques. I thrilled to serve on the ISAPS Board of Directors as Parliamentarian. This is one of the largest meetings of aesthetic plastic surgeons in the world with more than 1,500 participants and 500 speakers. I am looking forward to visiting this wonderful country and discussing new techniques with my colleagues. I’ll be speaking on the following topics: CoolSculpting; Breast and Body Contouring, the Mommy Makeover; Improving Your Practice, Management & Marketing; and Advances in Body Contouring with Cryolipolysis, including Cryodermadstringo. 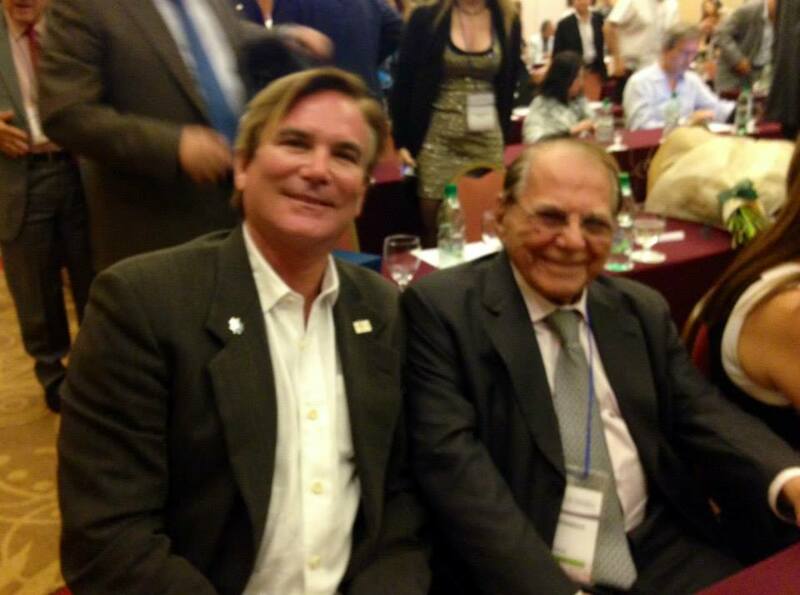 One day prior to the ISAPS meeting, while in Rio, I’ll be speaking along with the world famous Brazil plastic surgeon Dr. Ivo Pitanguy (we’re pictured above last year in Peru) at the first “Symposium on Emerging Technologies & Techniques in Plastic Surgery” meeting, which I am co-chairing. I have a couple of presentations here as well. This is the first technology conference of its kind, and as you know, I frequently talk about the new technology of beauty. This meeting really is exciting because it addresses profound changes in plastic surgery as a result of the international reach of the Internet and social media, as well as the fast-evolving move from surgical procedures to non-invasive ones.